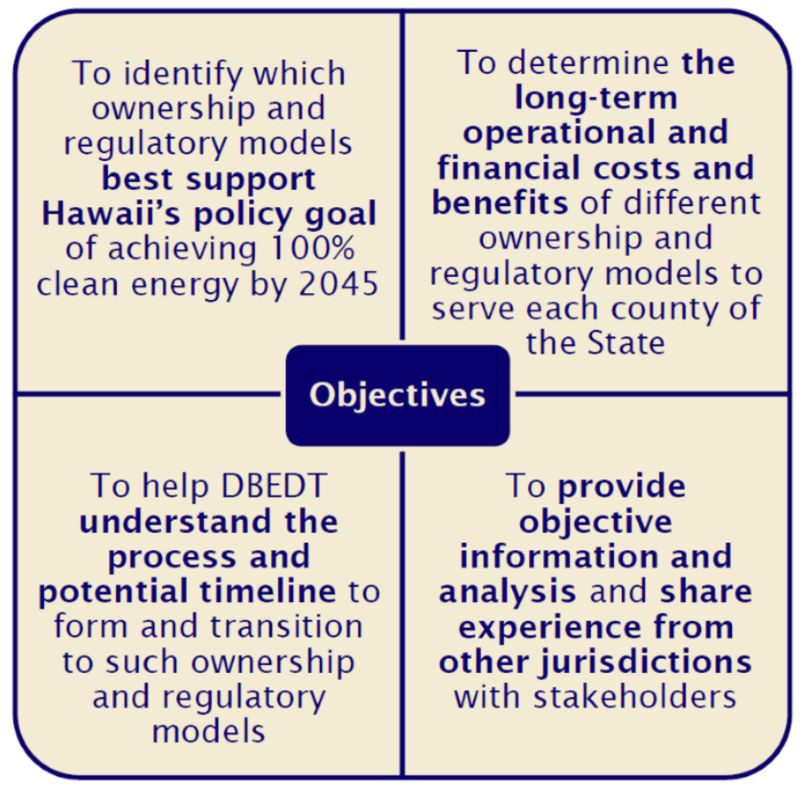 At the request of the state legislature, the Hawaii State Energy Office is embarking on a study to evaluate the costs and benefits of various electric utility ownership models, as well as the viability of various utility regulatory approaches, to aid Hawaii in achieving its state energy goals. Through a competitive sealed proposals procurement, the Hawaii State Energy Office contracted London Economics International, LLC to perform a study to evaluate utility and regulatory models for Hawaii. The study is expected to be completed by January 2019. 4. Eliminate or reduce conflicts of interest in energy resource planning, delivery, and regulation. The study will engage a wide range of stakeholders and perspectives across all islands, providing multiple opportunities for input and participation. See Community Meetings and Working Sessions page. 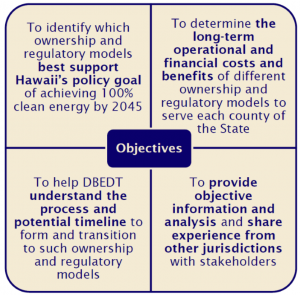 Comments may be emailed to dbedt.utilitybizmodstudy@hawaii.gov.